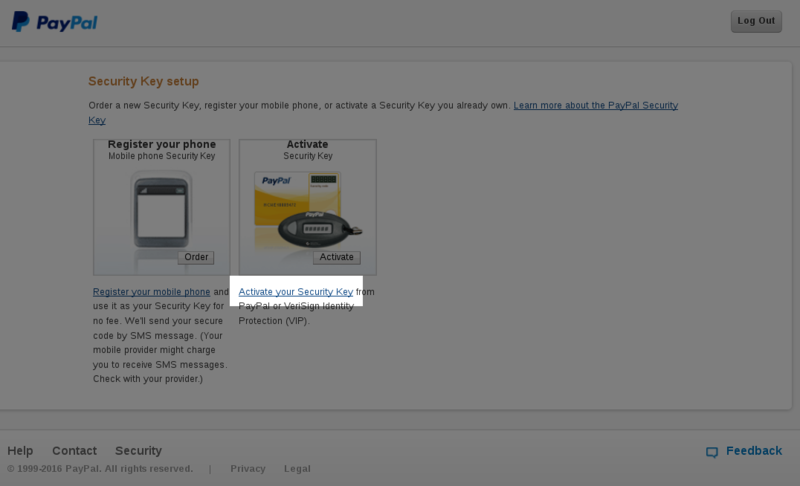 Using two factor with AWS or Paypal is a very good idea. 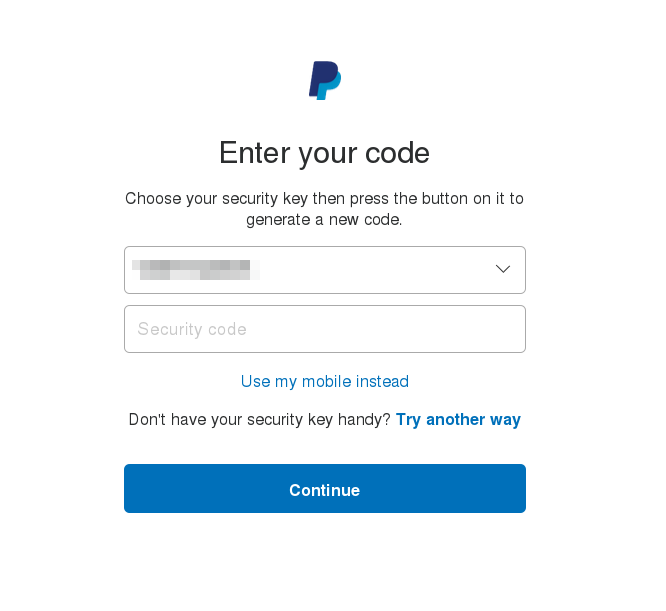 However, both these services have an annoyance compared to other providers who use two factor authentication: AWS and Paypal _always_ ask for your 6-digit token before you can log in, unlike say Google where it wouldn't ask for your OTP for the same device. However, you can use a Yubikey to ease some of the pain, and have a shortcut enter the token when your Yubikey is plugged in. Before you get too excited, this isn't what you think it is; you can't just press the button on the Yubikey and have it enter the 6 digit token, because AWS and Paypal uses TOTP (Time-Based OTP), and the Yubikey does not have a battery to maintain an internal clock. However, how the Yubikey can be helpful is in having a secure portable write-only store of the TOTP secret, which can be used by the open source Yubikey Authenticator application installed on your desktop to generate a token. You can get pretty close to nirvana by using Yubikey's desktop app combined with a script to type in the 6 digit token after pressing a keyboard shortcut. Configure two factor authentication in whatever application you use (eg. for AWS, delete your old MFA virtual device, and create a new MFA virtual device, which would give you a QR code you can scan). Ensure your Mac's clock is accurate, and then use the QR Code scanner in the Yubico Authenticator to scan the AWS (or whatever) QR code that is displayed anywhere on the screen by going to File -> Scan QR Code. You may want to also add the QR code to your phone in whatever application you normally use. Use either the Yubico application or your phone to generate 6-digit code to set up two factor authentication as needed; both your phone and the Yubico Authenticator should be showing the same 6-digit codes. ykman oath code --single AWS # replace AWS with some unique string in "ykman oath list"
We're almost there, since we can now generate a 6 digit code programmatically, all we need to do is use the OSX Automator to "type" that code when we press a keyboard shortcut. You can test it if you wish with the play icon (it should enter a 6 digit code). 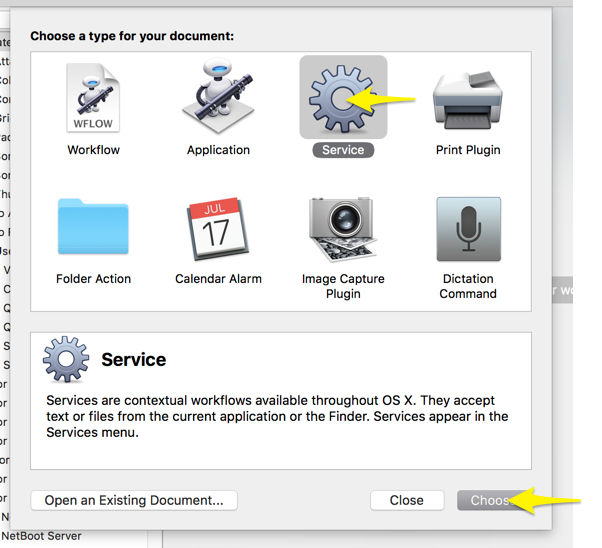 Save the workflow (File -> Save) with some name you can remember, then go to System Preferences -> Keyboard -> Shortcuts -> Services, look for your new service, and set a shortcut for it that does not conflict with an existing shortcut. Now, when you are prompted for an MFA token, just make sure your yubikey is plugged in, and press the shortcut. Keep the rest of the settings as the default, and press OK. Test it out by logging to a service and trying out the two factor auth. show_error "Expected some service name after command; see the first column of the yubioath output"
show_error "yubioath did not work, is the Yubikey plugged in?" show_error "Nothing matching $SERVICE on the yubioath output"
show_error "Did not get a 6 digit token. Perhaps $SERVICE matches more than 1 entry?" xte "str $token" "key Return"
[rizvir@main scripts]$ ./yubiauth-token.sh "AWS rizvir:rizvir@612345678912"
This means that it's working. You then just need to create a keyboard shortcut to run the script when you press a certain key combination. Assuming you have your Linux development packages installed, it's easy getting it to work. Just install 'pip' (Fedora: dnf install python-pip) and then do a pip install python-vipaccess. Assuming there are no errors, you should be able to then run vipaccess without any arguments. This generates a QR code/secret key, which you can scan/enter with the Yubico Authenticator. It will appear in your Yubico Authenticator OTP list as "VIP Access". You then just need to link this to PayPal. Your freshly scanned entry in the Yubico Authenticator should have a serial number mentioned for your "VIP Access" token which would look like "VSST1234...", type that as the Serial Number. Then enter the 6-digit code, and repeat it again after around 30 seconds when the token changes. After you click on Activate, it should start working. 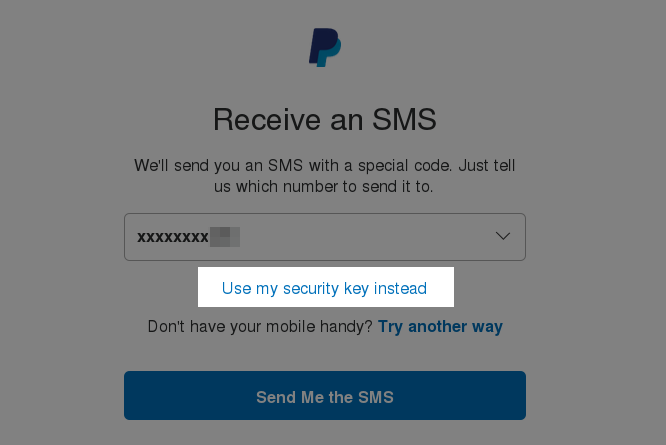 so repeat these steps again to enter your mobile number in case your Yubikey is lost.